Joseph M. Kaminski, MD, previously Senior Medical Staff at the National Cancer Institute at the National Institutes of Health, is a board certified Radiation Oncologist who is internationally known for his work in drug and device development. He comes here from the Medical College of Georgia where he served as the Co-Leader of the Neurological Oncology Multidisciplinary Program for the Cancer Center and the Director of Genitourinary (e.g., prostate), Gastrointestinal, and Central Nervous System Radiation Programs. He has authored more than 70 publications in peer reviewed journals and has served on multiple journal editorial boards. He graduated with highest honors from Georgia Institute of Technology and completed medical school at the Medical College of Georgia. 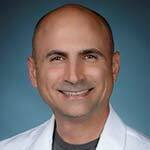 His residencies are in Nuclear Medicine and Radiation Oncology at Vanderbilt University Medical Center and also in Radiation Oncology at the Fox Chase Cancer Center. For a complete Curricula Vita of the physicians, please contact the Center, or click here. 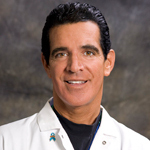 The Dattoli Cancer Center employs three registered nurses and one ARNP licensed through the Florida Board of Nursing, and one medical assistant certified through the Accrediting Commission of the Council of Occupational Education. One of the RNs and the ARNP are Oncology Certified Nurses (OCNs), accredited through the Oncology Nursing Society, with requirements for renewal of oncology-specific continuing education on a yearly basis. One of the RNs is the clinical research coordinator, having completed extensive workshops specific to this field of expertise. Each dosimetrist at the Dattoli Cancer Center is Board Certified by MDCB (Medical Dosimetrists Certification Board) as CMD (Certified Medical Dosimetrists); are members of AAMD (American Association of Medical Dosimetrists). Our dosimetrists are also Board Certified by ARRT as Radiation Therapists and must maintain yearly Continuing Education requirements in order to be licensed in the State of Florida. All Radiation Therapy Technologists and Radiologic Technologists are certified by the American Registry of Radiologic Technologists and licensed by the Florida Department of Health and Bureau of Radiation Control. The Dattoli Cancer Center Computed Tomography Department is one of fewer than 500 in the United States, Canada and Puerto Rico that have been accredited by the Intersocietal Commission for the Accreditation of Computed Tomography Laboratories. Participation in this program is voluntary, indicating the department’s adherence to ICACTL’s rigorous standards for the performance of quality CT procedures. ICACTL accreditation is important because it demonstrates a commitment to quality care and provides fro ongoing, confidential peer review. The Dattoli Cancer Center offers a fully accredited blood and urinalysis laboratory. The lab has been approved by the State of Florida and has successfully passed the accreditation inspection from the international healthcare accreditation agency, COLA, with a perfect score of 100%. This ensures all regulatory requirements of the Clinical Laboratory Improvement Amendments of 1988 (CLIA ‘88) have been met. The laboratory is staffed by a Board Certified Medical Laboratory Technician and a licensed Medical Phlebotomist. Standard Quality Assurance and Proficiency programs are in place to ensure consistent testing integrity. The lab is inspected every two years to maintain accreditation and the staff will have a minimum of 24 Continuing Education Units (CEUs), biannually.